July at Reyn Studios is all about reflecting, decompressing, and growing from a place of awareness and stability. To cool both the physical and metaphysical body, we will be breaking down Prasarita Padottanasana ((pra-sa-REE-tah pah-doh-tahn-AHS-anna,) Standing Wide-Legged Forward Bend,) and exploring some of its variations. Folding poses are associated with turning inward. They are a time to slow down and turn the focus towards yourself, acknowledging and releasing ideas and patterns that are not serving to the self or others, and refocusing your awareness to those which are. Prasarita Padottanasana calms the mind and soothes the nerves, something all of us could use a bit more of in the oppressive New Orleans heat and contentious political atmosphere. By exploring familiar shapes such as Prasarita Padottanasana, we are able to feel the impacts of micro adjustments and optimal alignment in our practice. 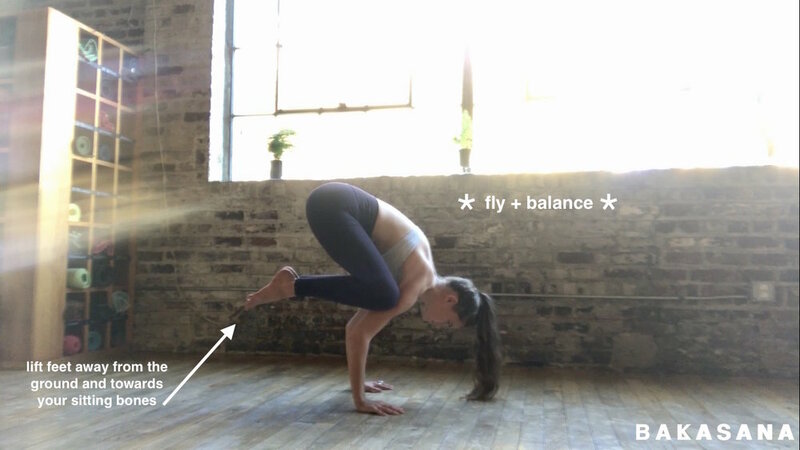 The sense of empowerment we find in this asana coincides with the strengthening of the thighs, stabilization of the knee joints, and lengthening of the hips, hamstrings, and calves. Habitual practice of Prasarita Padottanasana improves the strength and flexibility of the spine as well. In our constant attempt to manage our stress, anxiety, depression, and fatigue, Prasarita Padottanasana is a welcome addition to our practice as it is associated with an improvement in these areas. A four month study published in the Journal of Bodywork and Movement Therapies found that participants in yoga, particularly a practice that incorporated the wide-legged forward bend, showed a reduction of blood pressure, heart and respiratory rate as compared to the control group. If you need a bit more support walk the feet towards one another a bit. Rest your hands on your hips, shoulders firm on the body, ribs cinched in. Check that feet are parallel to each other. Lift your inner arches by drawing up on the inner ankles, and press the outer edges of your feet and ball of the big toe firmly into the floor. Engage the thigh muscles by drawing them up and back. Inhale and lift your chest, lengthening front torso so it feels slightly longer than the back. Exhale and, maintaining the length of the front torso, hinge at the waist to lean the torso forward from the hip joints. As your torso approaches parallel to the floor, press your fingertips onto the floor directly below your shoulders. Extend your elbows fully. Your legs and arms then should be perpendicular to the floor and parallel to each other. Inhale draws the spine into the back torso so that your back is slightly concave from the tailbone to the base of the skull. Bring your head up, keeping the back of the neck long, and direct your gaze upward toward the ceiling (think cow pose). Energetically push your top thighs straight back (without hyper-extending the knees) to help lengthen the front torso, and draw the inner groins away from each other to widen the base of your pelvis. Keep the concavity in the back as you exhale, walking the fingertips between the feet. Take a few more breaths and with an exhalation press your inner palms actively into the floor, fingers pointing forward. Bend your elbows straight back (like chaturanga) and lower your torso and head into a full forward bend maintaining the length in the torso as you go. 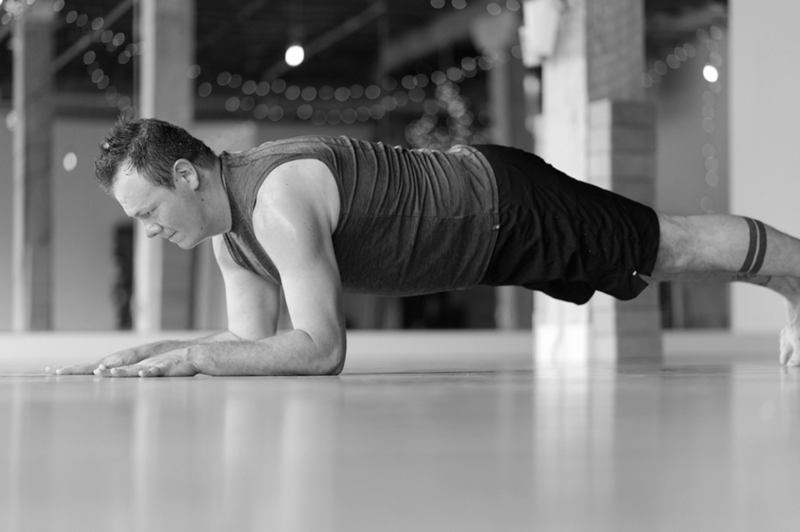 If you have the flexibility to move your torso into a full forward bend, walk your hands back until your forearms are perpendicular to the floor and your upper arms parallel (again, think chaturanga). Be sure to keep your arms parallel to each other and widen the shoulder blades across the back. Draw your shoulders away from your ears. Option to grip a block longwise between the forearms, pressing the hands actively into the floor. This action of the arms will also get you ready for poses like Headstand variations and Pincha Mayurasana (Peacock Pose). Balance the weight evenly between the four corners of your foot to help keep your hips in the same plane as your heels, as there is a tendency to lean back, causing undue tension. The idea here is to get your head below your heart, which will reduce “hot-headedness” and invite an introspective quality that is emotionally and energetically nourishing. Bringing the head to a block if it does not reach the floor facilitates this connection and calming of the senses. When you find yourself in a steady and comfortable position, take 5-10 deep breaths, without constricting the back of the throat. On particularly hot days, try exhaling through your mouth to let go of excess internal heat. Stay in the pose anywhere from 30 seconds to 1 minute. To come out, bring your hands back on the floor below your shoulders and lift and lengthen your front torso. Then with an inhalation, rest your hands on your hips, pull your tailbone down toward the floor, and swing the torso up. Walk or hop your feet back into Tadasana. Follow the same set up as for the A variation. Head reaches to the floor, crown may rest on the floor. Maintain the same actions as previous variations for basic set up and alignment. Squeeze the palms together, drawing the elbows back, muscularly opening the heart and shoulders. Work with gravity in the fold, crown of the head reaching for the floor, hands and draw away from the spine. Maintain the same actions as previous variation for basic set up and alignment. From the folded position fingers reach for for toes. Lock the index and middle finger around the big toe, elbows extend outward as you fold. April was a big month for us at the studio! Our studio manager, Melanie, got married, and our staff doubled down on preparations for our upcoming teacher training. With our efforts focused elsewhere we missed sharing a pose of the month with you in April. May will find us exploring our strength and power in Virabhadrasana (veer-uh-buh-DRAHS-uh-nuh) II or Warrior II pose. Virabhadrasana is a standing pose that enhances stamina and stability attributes of the warrior incarnation of Shiva it is draws its name from. Regardless of our daily routines, we all could benefit from the deep hip opening, stretch in the legs, groins, and chest, and improved concentration we cultivate in Virabhadrasana II. When we include this pose in our practice, we build strength in the entire body. Strong activation of the feet tones the arches of the feet and ankles. We tone the pelvic floor and abdomen as well as generate more powerful muscles in the thighs and buttocks, improving our stability and endurance on and off the mat. Properly aligned Virabhadrasana can relieve backaches and improve digestion as well as open the chest and shoulders, which encourages improved breathing capacity and circulation. Begin in a wide legged stance, feet parallel and engaged, shoulder stacked over hip. Pivot the front foot toward the short side of the mat, lining the heel up with the arch of the opposite foot. Knees should be inline with and facing the same direction as their corresponding foot and ankle. Activate the thighs as you inhale the arms parallel to the floor aligned with the legs, palms face down, shoulders drawn onto the back body. Exhale and bend front knee over the front ankle, so that the shin is perpendicular to the floor. If possible, bring the thigh parallel to the floor. Check to see that your front big toe is visible by drawing the front knee back, opening the hips. Take a wider stance if your knee is moving in front of your ankle. Press evenly into the outer edge and inner toe mounds of the back foot to anchor the pose and charge the muscles of the extended leg. Sink evenly into your hips. Maintain equal length on both sides of the torso by keeping the shoulder stacked over the hips. It is tempting to lean the torso over the front leg, but to maximize the benefits of this pose keeping the shoulders and hips aligned is best. Let the tailbone draw towards the pubis, and draw the belly towards the spine on your exhales to keep the torso open. Broaden across your collarbones and lengthen the space between your shoulder blades. Engage your triceps. Drop your shoulders and lift your chest. Turn the head to look over the front leg, gaze is focused just beyond your middle finger. Hold for 5-10 breaths. Inhale as you press through both feet, turn the front toes parallel with the back, and release the arms. Repeat on the opposite side for an equal number of breaths. Virabhadrasana II can be modified to meet you where you are. Adjusting the distance between the feet to improve your balance can make this pose more accessible as we build our strength and flexibility. It is very important to maintain proper knee alignment to avoid straining the joints. The bent knee often drifts inward; correct this by drawing towards the pinky toe side of the foot as you work to bring the thigh to parallel. To increase the intensity of this pose, outwardly rotate the arms so that the palms face up, shoulder blades draw down the back. Once you feel capable of building from there try rotating the arms inwardly and outwardly with your breath as you hold the strength in your legs. 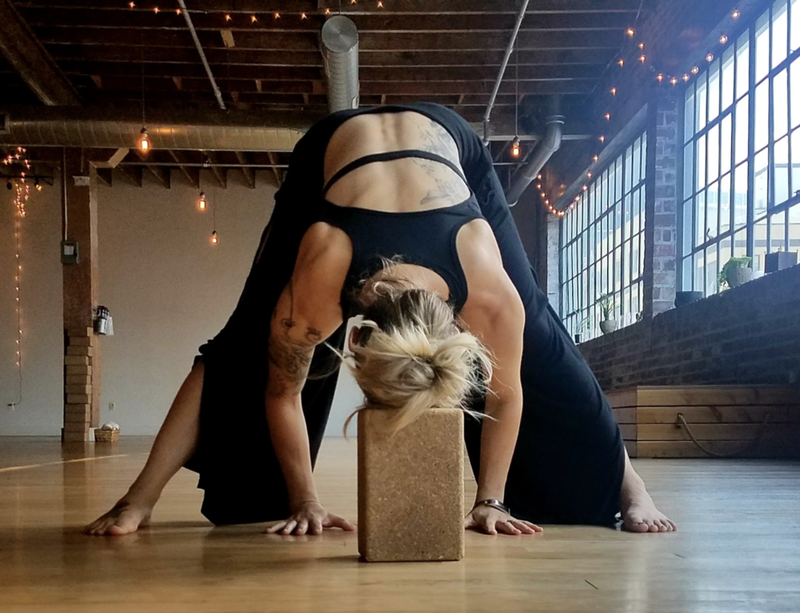 The fierce energy of this pose and its ability to ground us while opening our hips and chest create an intensely liberating experience we hope you connect with as much as we have. The pose of the month for March is shalabasana, or locust pose. It's a prone backbending posture that we practice often in class, but one that's so valuable for back health that it's worth taking the time to explore more in depth. If you spend any time in your day seated, working at a computer, driving, etc., there's a good chance your shoulders slump forward. Shalabasana helps to counter the all-too-easy slump, greatly improving our posture and how we sit, stand, and move through our lives. If we practice locust thinking that it should be a big backbend, we'll only feel frustrated by it. Instead, think of it as a chance to bring greater strength and integrity to the posterior chain of the body - backs of shoulders, arms, spinal muscles, glutes and hamstrings. This is an especially important focus since our vinyasa practice gives us so many chances to stretch the back of the body. We want to make sure our backs are strong as well as open. To practice the pose, start by lying on your belly, with the forehead to the floor and the arms down by your side. Turn your heels slightly apart, big toes slightly together. This will initiate an inner rotation of the legs. Start the pose by drawing your shoulder blades towards one another and down the back, away from your ears. This will lift the fronts of the shoulders off the ground. Then lift the head, the legs and the arms. Spinning the palms down towards the floor will help encourage the external rotation of the shoulders, keeping the chest open. Feel that your legs stay hips width distance apart, and that you're lifting and lengthening from your inner thighs, rather than clenching the outer hips to lift the legs. As you are lifting, focus on creating a sense of length through the whole body, from the crown of your head to the tips of your toes, rather than trying to lift high up off the ground. Remember this posture is about strength, rather than a huge range of motion. If you feel compression in your lower back, lower the legs a little and think of reaching them longer behind you. Also imagine your lower belly wanting to pull away from the ground (though it won't, of course), instead of getting a bigger backbend by pushing your belly into the ground. Because we're lying on our stomachs it will naturally be harder to breath into the belly. So, focus on moving your breath up into your chest, helping it to reach further forward. Make sure to keep the back of the neck long, and the legs straight. If it's uncomfortable for the fronts of the hips, place some padding under the pelvis. There are many variations to explore and ways to make the posture easier or harder. You can interlace your fingers behind your back, which will allow for more ease in opening the chest. You can also work opposite arm and leg, lifting the right leg and extending the left arm forward. This can help us become aware of differences in sides. If you struggle with understanding the action of inwardly rotating your thighs, try it with a block between your feet. Press your feet into the sides of the block and try to lift the block as you lift the rest of the body. Whether it lifts or not, this will turn on the inner thighs and train the body to know how it feels to lift without compressing the lower back. You can also practice it with the hands on the ground, like a modified cobra. Or for grater challenge, extend the arms overhead, or interlace fingers behind your head, pressing the back of the head into the hands. This also strengthens the neck. In our vinyasa practice, the fronts and tops of the shoulders get very strong - think planks, chatarungas, down dogs. Shalabasana gives us a chance to bring more strength to the back and bottom of our shoulders, so that our shoulder strength is more balanced. 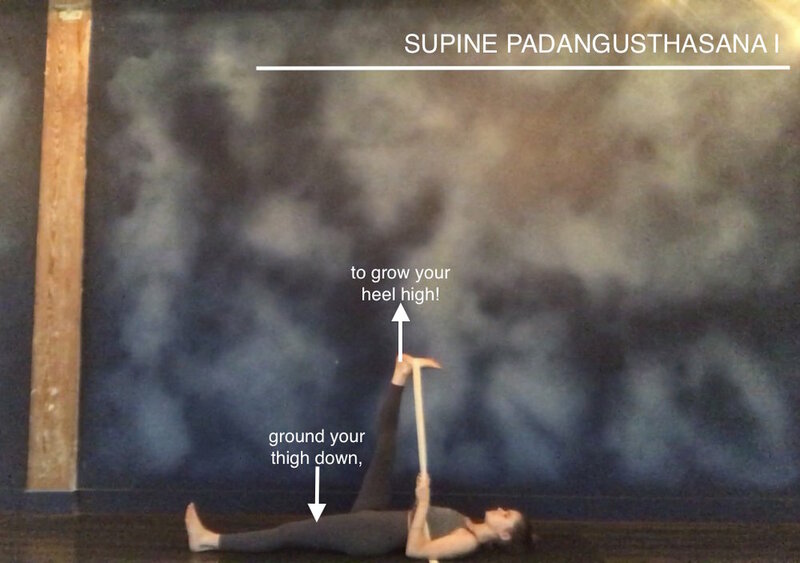 Try incorporating more of it in your practice this month and see if you notice a difference - perhaps in place of up dog during your transitions. May these following variations and alignment queues inspire you into having a more subtle, sensual, and holistic experience in Utthita Hasta Padangusthasana I + II. Remember, these poses are not static! Keep flowing with the waves of your breath ~ And let the easeful rhythm of your inhales and exhales help balance out the efforts of your muscles that assist you in sustaining the postures. Embrace the possibilities of the New Year by opening up your heart with this January’s pose of the month, Ustrasana! Practicing Camel Pose is a sure fire way to bring more space as well as strength into your central channel of energy, your spine. 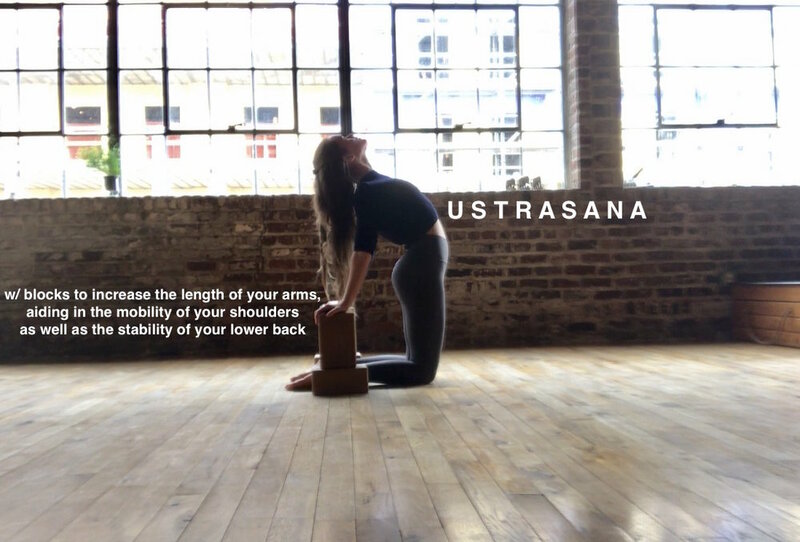 By mindfully activating your musculoskeletal system with the appropriate amount of care and attention, Ustrasana may safely leave you feeling restored, renewed, and revitalized in your own body, breath, and mind. 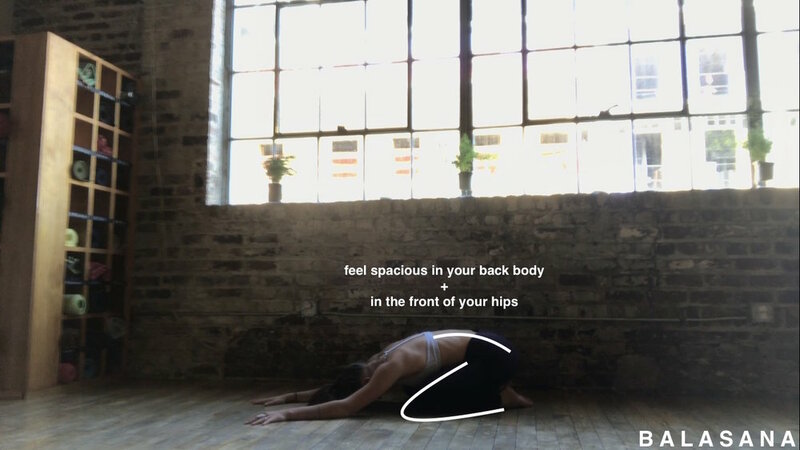 May these following offerings of queues and modifications inspire you into a more dynamic, authentic, and holistic experience of this posture. We hope you enjoy the exploration and embrace the unknown of what’s to come with curiosity, care, and compassion! Mix & match the use of props, the placement of your palms on your heels or sacrum, the position of your head, etc. to find the unique expression of this posture that makes the most sense for your body at the particular time of your practice! We look forward to opening our hearts with you in the New Year!